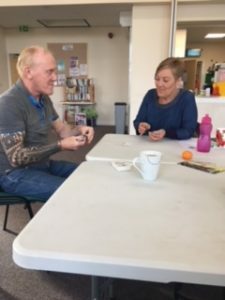 Community Ventures delivered 13 social activity sessions in the North of the city using the Fegg Hayes Hub, these sessions included colour therapy, crafting, meditation, 1st Aid, cook and eat, sharing skills, music, quiz’s and advisory talks from local organisations. These sessions were facilitated and delivered by Community Ventures and some of our partners. Friendships were created and a camaraderie developed between the group members which was exciting to see. It became a pastime from their usual day to day routine and they were able to offer a listening ear to other members of the group. They were also able to share advice, experiences, knowledge, and useful contacts with their peers. 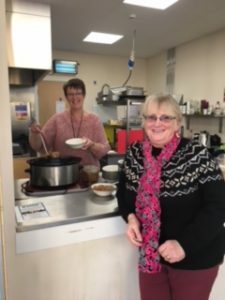 We were able to build up a genuine rapport and relationship with the carers and these relationships became invaluable to both the carers and CV team as the weeks went by. 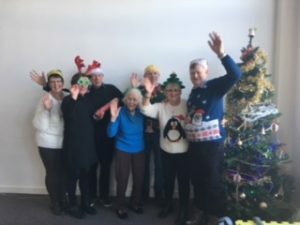 As a team we all felt that we build friendships and we will all stay in contact, they see us as friends and not just a service, the carers all said that we are lovely people who made them feel at ease and made the sessions even more enjoyable to them and they were really thankful for the whole experience. They looked forward to their Mondays and our service meant a lot to them. In order to sustain the group activities Community Ventures & the Fegg Hayes Hub were able to gain funding to help the group to continue beyond our 12 week programme. 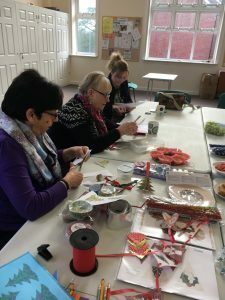 This group will now use this funding to continue to meet up and participate in a range of different activities, enjoy each others company and implement their own ideas to establish the group even further.